El Rio (Warner Bros. Records/Warner Music Nashville) was released on June 10th. The album was selected by Rolling Stone as one of the 25 Best Country and Americana albums of 2016 and The Tennessean as one of the best 16 Nashville albums of 2016. It was recorded at the famed Sonic Ranch, just south of El Paso in Tornillo, Texas. Ballard, band and producer Marshall Altman left the comfort of Nashville in exchange for the opportunity to immerse themselves 24/7 into creating this unique and fresh album. 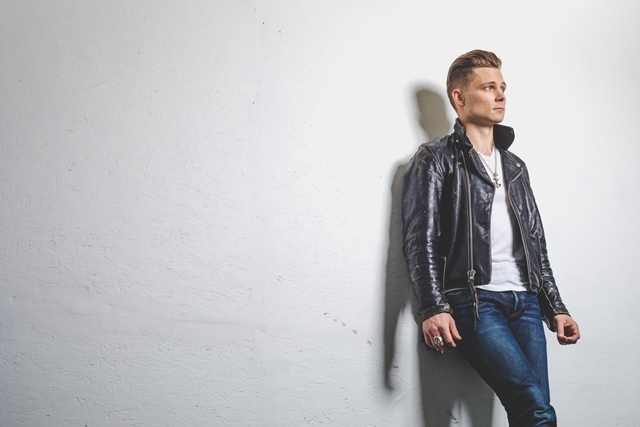 Frankie Ballard’s previous album, “Sunshine & Whiskey,” produced three consecutive no. 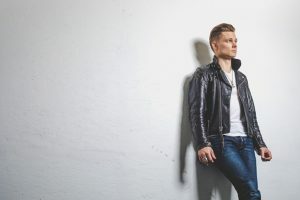 1 singles – the platinum-certified “Sunshine & Whiskey,” the gold-certified “Helluva Life,” and one of the Top 3 Billboard Country Airplay songs of 2015, “Young & Crazy.” Ballard has combined album sales and single/album streaming of over 450,000 to date with over 150 million total streams across all streaming platforms and 90 million streams at Spotify. 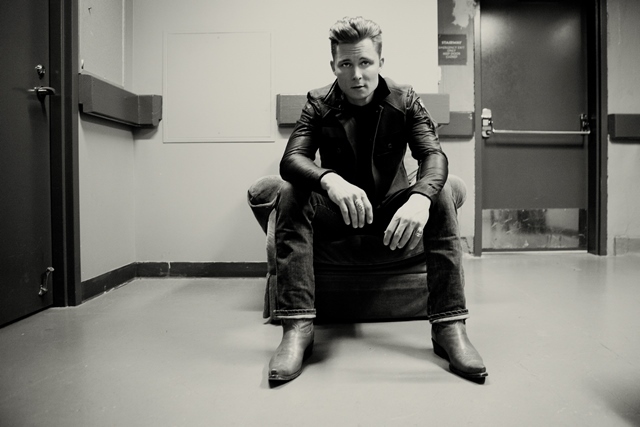 Ballard continues his electrifying set on the road this Summer touring across North America. This has been a pretty crazy year for you, with getting married and then this insane tour that you’ve been on. How are you doing with it all? Well, it’s great. You know, I’ve always been somebody who’s kept it moving, kept the motor running. I think God gave me an extra gear that I can kind of shift down to, an extra couple twists on my spring, so I’m full of energy and full of life, and I’m able to keep it motoring. But I’ll tell you the one thing that was difficult. See, I got married on March 12th, and then we went to Europe for a month. I way underestimated the buzz of new love coming together in such a way and then having to be on the other side of the world. That was difficult. I definitely missed my lady, but we had a great tour, and we’re now getting our show up and running here in the States and doing shows in the lower 48 for the rest of the year. I’m back with my baby and back with my band in the good old US of A, and we’re rocking. What was it like being in Europe just recently? What was that tour like? Now, this is your third tour there, so how is it different than your last time there? Well, we’ve been trying to grow by going to new cities each time we go over as well as coming back to some of our favorites, so it was wonderful. You know, there’s tons of great country music fans over there that are thirsty for what we’re doing, and so we’re taking it to them. I’ve got an adventurer’s spirit, and it’s always been a part of my dream to see how far I could take my music, and the same for my band, so it’s a dream come true. We had a blast. Looking back, I’d love to know what it was like, you know, the first moment that you heard one of your songs on the radio. Can you still remember what that experience was like? Yeah. Absolutely. I remember thinking how good it sounded, first of all, because, you know, the radio has an extra level of kind of shimmer to it. It just sounded big, and I remember thinking that. Then, I remember looking around and to the other … I was in the car, and I remember looking around and to the other cars, wondering if they were listening to the same radio station. I immediately felt the power of radio, you know? To have your music pumped out over the airwaves into cars and into radios around the country, it’s a very powerful thing, and it’s something you always want. When you start making music, you want people to hear it, whether it’s at a show or … You know, you want to get it out there, and to have it on the airwaves is the way to do it. I remember just feeling that power and excitement the first time. Was that also kind of the first moment that you thought “Okay. I could really do this. I can make this a career.”? I think that it is something that I’ve always wanted, but I still to this day feel like it’s an elusive dream. You know, it’s … I’ve never felt comfortable in any of it. Like, it all seems so fleeting in the music business, so I still feel like I got to earn it everyday. I’ve always wanted it to be my career, though. I’ve always dreamt it would be my career. Maybe someday I’ll feel like I did it, but I’m still just afraid that somebody’s going to take it away or something. Exactly a year ago this month, you released El Rio. I’d love to know what it was like having Rolling Stone select it as one of the 25 best country and Americana albums last year. Was that pretty insane to hear when you first learned about that? You know, when you make an album or any song, even, just something simple, you hope that people will like it, and you’re doing it as an expression of whatever emotion the song has. You know? It’s something you need to get off your shoulders. I mean, that’s the way I make music for sure, but you hope that it reaches people’s ears and spirits in a great way, but you never really know until it gets out there. I can remember taking a big sigh of release when I heard that particular review. I was very thankful. It’s crazy, it doesn’t seem like a year ago. Do you think that you, if you, right now, were to go into the studio, you would put together something very similar to El Rio, or you’ve changed in this year so much that it would be very different? That’s a great question. I think it would be different. I’ve changed a lot. I’ve grown a lot. You know, I’ve always been trying to continue to grow as an artist, get better, get more refined, get closer to who it is that I really am, all those things. You know? I think that’s the pursuit of any artist that is never satisfied, like I am. You got to remember, too, that El Rio came out a year ago, but it was recorded… more, much more than a year ago, so I definitely see things not differently, but I would probably take a different approach. I mean, it’s just the way artists are. You know? We’re always trying to make things better and take things to the next level. I might take a little different approach with those songs, but I’m still proud of the way it sounds. Do you have plans to get back in the studio once this tour’s all over in the fall and write a new album? Have you been writing on the road at all? Yeah, I’ve actually already started it. I’ve been in the studio a couple times, you know, demoing some songs and writing constantly, so I’m already, I’m way ahead of you, baby. That’s great. You hope to release music maybe next year, huh? Yeah, if not before. I am trying to really ride a creative wave right now, so I’m just writing as many songs as I can and producing as much new material as I can. I really have a thirst for it. You know? I’m dying to get some new stuff out there, so you never know. Has the road been an inspiring place? Has it been really inspiring you to write music? The road is a difficult place to write for me, because if you’re doing shows, and you’re executing, and that’s not really always a creative space. You kind of have to carve out that time, and it can be difficult, but the road is inspiring in different ways. I mean, you see a lot of stories. You meet a lot of interesting people, and, you know, there’s inspiration everywhere. It’s a lot of work, but I try to write as much as I can, but to be honest with you, most of my creative work happens in Nashville. I was checking out your tour list, and you have so many dates. How do you keep up the energy and the momentum night after night? Well, I’m a very spiritual person, and I try to start my day with spiritual time and exercise just to get centered. You know, I can do shows and do shows and do shows and do shows, but if I just let myself get worn out, the shows will start to suffer from that, so I always try to start the day by taking care of myself so that I can stay consistent, I can have all the energy in the tank and be my best. I think it’s pretty crucial for me. I’m a different person. If I don’t get my spiritual time in the morning, it’s difficult to me, so I make it a priority. What do you think is the best part about being on tour and all these dates? I would say that it’s the fans, first and foremost. I love getting to see where these people live, how they live, what they’re into, and all of the fresh faces I get to meet every night and bring music to them and make them happy and give them a release from their everyday. That’s really a fun thing for me, but I also really enjoy the brotherhood of doing this with my band. You know? Getting to see the world, and getting to do these shows, and getting the challenges and the triumphs as a band is pretty cool, too. What have been some of your favorite venues? Well, we’re coming into the summer festival season, which is always a blast, being outside and seeing these big parties and the campgrounds and all that stuff, but I really love playing in some of the smaller rooms that we get to play, because the energy is just so electric, you know? You can reach out and touch people, and their drinks are on the front of the stage. Everybody’s kind of right on top of you and in the music, and you can see what they’re doing. You can hear what they’re saying. Sometimes, that distance of those people way out on the lawn, and you can see that they’re having a good time, but I like getting into the small clubs, too, you know, rocking the house. Do you have a particular moment with a fan that stands out to you, that they shared a story with you or they shared the impact of your music, that really touched you? Yeah. I hear a lot of stories about “It All Started with a Beer”, which is a song from El Rio. I hear a lot of love stories, a lot of “Oh. You know, that’s exactly how we met.” I just love hearing stuff like that, because I remember thinking when we recorded that song in El Paso, Texas, I remember right before we hit red, you know, and went on record, I remember thinking “I really hope this is a story that touches people,” you know, “that … ” I got to imagine that it is, and I’ve been so blessed to hear the tales of love out on the road, but I’ve also heard a lot of stories about, like, “El Camino” and “Cigarette”, too, from all my single folks out there who’ve had their heart broken or are looking for love at the moment. For me, it’s the connection between the songs and the real life stories that mean the world, because that’s why I do what I do. I hope that that music reaches out and touches people’s lives and hits them at the right spot at the right time and makes them happy or excites them or helps them get over something that they’re trying to get over. When we get to do that live, it’s that experience in real life, and I get to witness it, but whenever somebody’s made a connection with one of my songs, those are the stories that I want to hear. 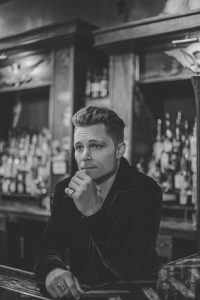 Can you talk about the story behind your song “You’ll Accomp’ny Me”? How did you come up with the idea to cover that song? Well, I grew up in Michigan, and Bob Seger was, is a huge influence of mine. You know? He really made my dream possible. For a kid who dreamed of being on stage and singing someday, I’m looking at this guy going “Man. If he can do it, I, maybe I can do it, too. He’s from Michigan.” You know? 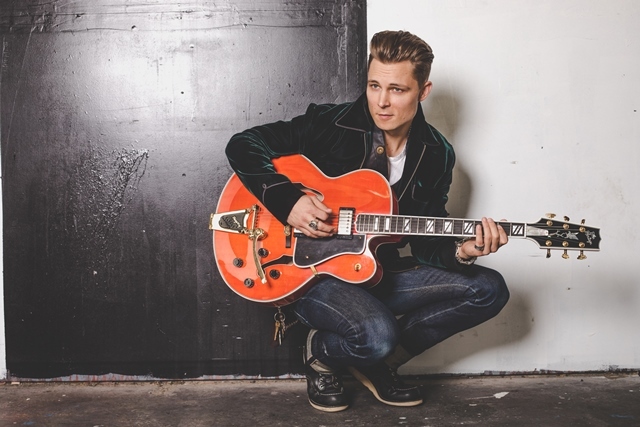 As a little kid, he really, his combination of blues and country … rock and roll is something that always really inspired me. I loved his voice, and I love this song, of course, but it’s really about my wife and I. We were doing a long distance relationship. She was living in LA. I was in Nashville, and she texted me a screenshot one day of “You’ll Accomp’ny Me”. She was listening to it while she was working out. She said “Babe, you know, this, this song. Do you know this song? This could be our song. I mean, it’s like our story, you know? We’re not, we’re not together right now, but we know someday we will be,” and I said “Baby, you don’t have to tell me about Bob Seger.” It kind of became our song and our anthem, and I really recorded it for her. And, of course, as a tribute to Bob and all of the things he has given me, you know, the inspiration of the years, so it seemed like the perfect cover for this album. Who are some other artists that you’re really loving these days and that inspire you? I am always trying to see what people are up to. There is just so much great music out there right now. If time and schedules were flexible, who would you love to get into the studio with right now and record a song with? Oh, wow. That’s a great question. I think that Maren Morris has such a soulful approach to things, and I have a deep soul and Motown background, growing up in the great state of Michigan. I think that we could put a pretty cool track together, and I think that our voices would go together really well, so I think I’d grab her and see if we could come up with something. You’ve kind of touched on it a little bit already, is at the end of the day, you know, I think a lot of artists want their fans to gain something from their music, to feel something or to take away something. What do you hope that your fans take away from your songs? Well, I mean, that’s a pretty difficult question, because every song is different, you know? Some songs are about love. Some songs are about heartache and pain. Some are just about energy and excitement. I just hope that they connect with it as an honest representation of all those things, you know? It’s never my goal to fake an emotion, whether it’s [inaudible 00:15:16] guitar solo or in a vocal or in a lyric, so I just want them to feel like it’s an honest representation and that what I’m singing and what I’m playing, the production, the sound are really who I am. You know? I just want that honest connection. Just before this interview, I was looking at your Wikipedia page, and I saw that you played NCAA baseball for a short time for Western Michigan? Yeah. That was a really great experience. I like to say that I went to college to play baseball and accidentally graduated. I wasn’t much of a student, you know, but baseball was definitely my first love. I’m blessed to have played, because I don’t think I would have made it through all those classes, all those classes and all that homework, unless I had a really good reason to. Well, I’m sad you’re not going to be coming to LA on this tour, but I’m sure I’ll catch you the next time. Well, we just went through and played the Whisky a couple months ago. Down on the Sunset Strip, and we had such a great time that we’re thinking about booking another show out there very soon, so don’t worry about it. Don’t sweat it. We will be coming back to the west coast very soon.